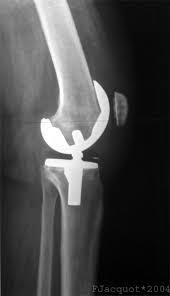 Depending on the surgery, surgeon, and personal health factors, some patients spend several days in the hospital or rehab unit after their total knee replacement surgery or will go to a rehabilitation facility for specialized care, while others have the surgery done on an outpatient basis and are home the same day! Typically, and surprisingly to some, physical therapy starts on day 1 after surgery, regardless of the setting you wind up in, and it’s a crucial part of the recovery process, as this lays the fundamentals of what you’ll be working on for the next several weeks. If you wind up going directly home after your surgery, you may need to undergo several days of home PT before being cleared for outpatient services. While at home, it’s essential to be compliant with what your home-based physical therapist tells you, as you will be responsible for performing exercises several times per day, all designed to make sure you heal safely and will be able to utilize your knee in an effective manner! In addition to these specialized exercises, you’ll be asked to walk with your assistive device multiple times per day, in order to avoid build-up of scar tissue within the joint and ensure early mobility of the joint. During the healing phase, it’s also crucial to ensure that you remain eating a nutritious diet and keep the wound as clean as possible, to make sure everything heals well with minimal complications. When cleared for physical therapy in an outpatient setting, your plan of care will often call for you coming in for physical therapy to the clinic for three times per week initially; however, it’s essential to realize that what you do at home is significantly more important than what you do during your ~3 hours of supervised weekly therapy. By working with your therapist in a collaborative fashion, you will be given a home exercise program that may involve performing a short series of exercises multiple times per day, in order to maximize the range of motion, strength, and functionality of your entire body after surgery. Likewise, you’ll be asked to walk with more frequency and with less reliance on your assistive device over time. It is crucial to maintain performance of these exercises exactly as prescribed, or recovery may be delayed and outcomes reduced as a result. Typically, patients return to being able to take care of themselves for most activities within 4-6 weeks after surgery; however, the recovery process can take up to three months for the pain and swelling to settle and up to a year or more for remaining swelling and lingering pain to dwindle. During the first six week period, you’ll be asked to walk increasingly longer distances and you’ll work with your physical therapist and medical team to determine how and when to wean off the usage of an assistive device, so that you can return to being your old self. This is a small taste of the rehabilitation process. If you haven’t noticed, rehabilitation after a total knee replacement is a very active process; however, the results pay off greatly when the patient is able to return to doing the activities that they love without fear of injury or limitation due to pain. It’s also important to note that, if you are thinking of undergoing this surgery, you should discuss with your doctor the potential for “pre-hab,” which is a short series of physical therapy often undertaken before surgery, in order to make sure you are as strong as possible prior to surgery and to work on a number of concepts that will put you ahead of the curve for your rehab process when you eventually do undergo surgery. If you or anyone you know are currently thinking about undergoing or have already undergone a total knee replacement, click this link to discover more information about physical therapy and how Robbins Rehabilitation with a Free Knee Pain Course. If you are injured and are ready to get started right away on the rehabilitation process, then do not hesitate to give a call at 610-841-3555.